Social media was flooded with jokes ridiculing the PCB after a biscuit-shaped trophy was unveiled for the series earlier this month. 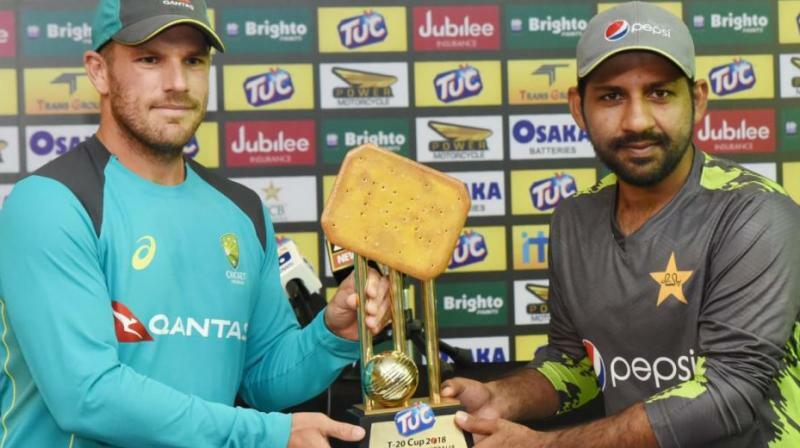 Karachi: "Embarrassed" by the biscuit-shaped trophy that became a social media joke before the T20 series against Australia, the Pakistan Cricket Board on Wednesday launched an inquiry into the fiasco and its marketing head resigned. Social media was flooded with jokes ridiculing the PCB after a biscuit-shaped trophy was unveiled for the series earlier this month that Pakistan won 3-0. "The silverware was an embarrassment for us and investigation is being held as to how the concerned department allowed this to happen," a PCB official said on condition of anonymity. Another source said the head of PCB's marketing department, Naila Bhatti, has now resigned. "The PCB is subsequently planning a revamp in its marketing department," he said. The silverware for the T20 series was trolled across social media platforms, and the International Cricket Council (ICC) added fuel to the fire by comparing it with the Champions Trophy silverware. The source said the Board has ordered the inquiry into the functioning of its marketing department, which currently has 13 members.